Most people must have heard about the term “antibiotics” but very few people have heard about Probiotics. When you go to your doctor, they prescribe an antibiotic because you cannot wait for a few days to get well. You are in a hurry to go back to work and most doctors oblige to your request prescribe antibiotics to cure your illness quickly. Before you take these antibiotics, it is important that you understand the gastrointestinal tract system of the body. The tract has 400 different species of organisms and bacteria that live in harmony with man and other species. These species are known to produce nutrients and vitamins that are required for the normal functioning of the body. There are many helpful bacteria in the gastrointestinal tract that help in metabolizing the digestive system and protect the body from harmful bacteria. When you take antibiotics that they start killing the bacteria and organisms in the body without differentiating between the good and the bad microorganisms. When they kill the microorganisms the primary infection is removed but the good bacteria in the gut also get destroyed. People who take antibiotics for prolonged usually complain of problems like nutrition and vitamin deficiency. When patients take antibiotics, it is important that they also take Probiotics that help in reducing the side-effects of antibiotics. In fact, most doctors are of the view that taking Probiotics must be made compulsory for people who take antibiotics. 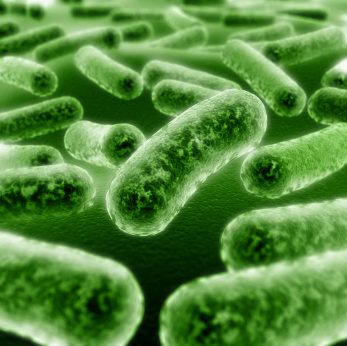 When you take Probiotics, it can help in reducing the chances of antibiotic induced bacteria. Probiotics helps in improving the good bacteria in the gastrointestinal tract and helps in maintaining the body balance. They also act as immune modulators and help in providing the right tools for vaccination in people who are susceptible to health problems. Therefore it is important that you request your doctor to prescribe Probiotics along with antibiotics. Also, you can also them some natural antibiotics that you can take to prevent frequent health problems.